One factor that has played a key role in the satisfaction of our customers and the success of our business is the technical knowledge and pride our team exhibits on every service appointment. We can assure you that our team of certified, trained Field Service Engineers are committed to always providing the highest quality products and service to our customers. We take pride knowing that you can count on Miller Weldmaster! 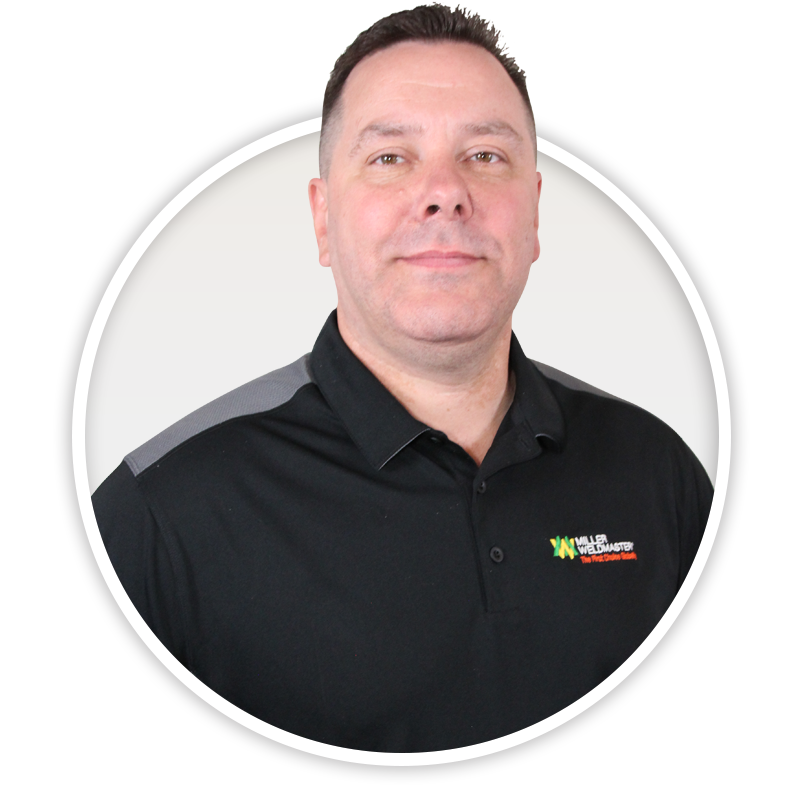 Mike Nastoff, our service manager has been a part of the Miller Weldmaster team for over ten years. His loyalty and hard work in our service department has made him an essential part of our team. Everyone loves Mike! When Mike isn’t helping and solving our customer’s problems, he is spending time with his wife and daughter. Ben Melnichenko has traveled all over the world installing machinery and taking on any challenge thrown his way. He manages all technician aspects of our tradeshows as well as setting up the booth. He keeps our team laughing with his wit and he is a true Cleveland Indians fan! Andrew has some big shoes to fill as he follows in his brother’s footsteps. Andrew is quick to observe every situation and is making decisions that will create a positive impact. 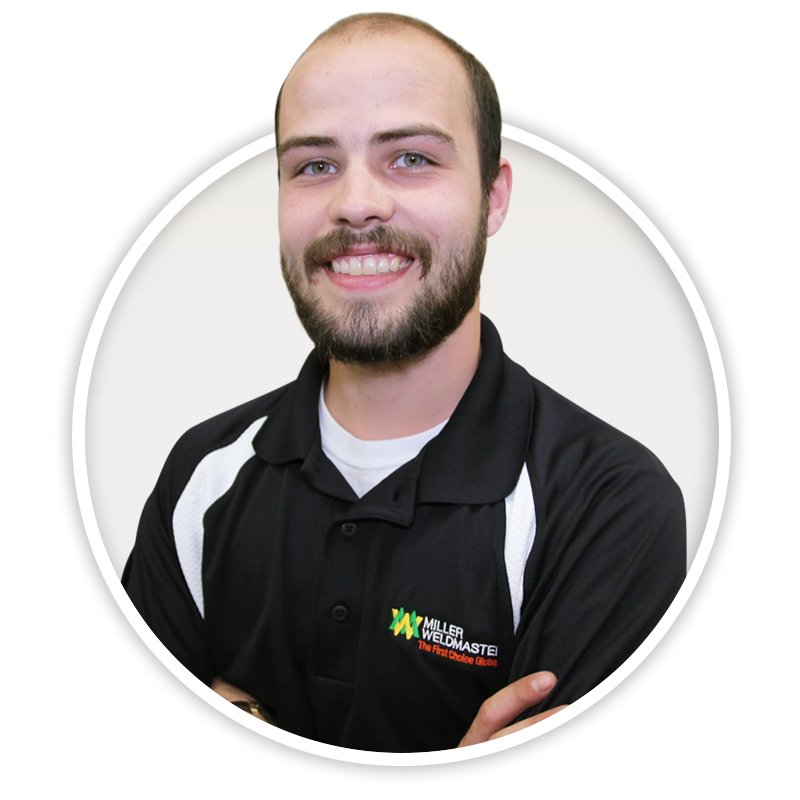 Andrew will continue to grow in this new service role and is looking forward to traveling and servicing your machines. Alvin comes to work each day with enthusiasm and motivation, ready to tackle any challenge. Alvin is well known in our Packaging System Division and leads the installs of end bag sealers and integrated systems. 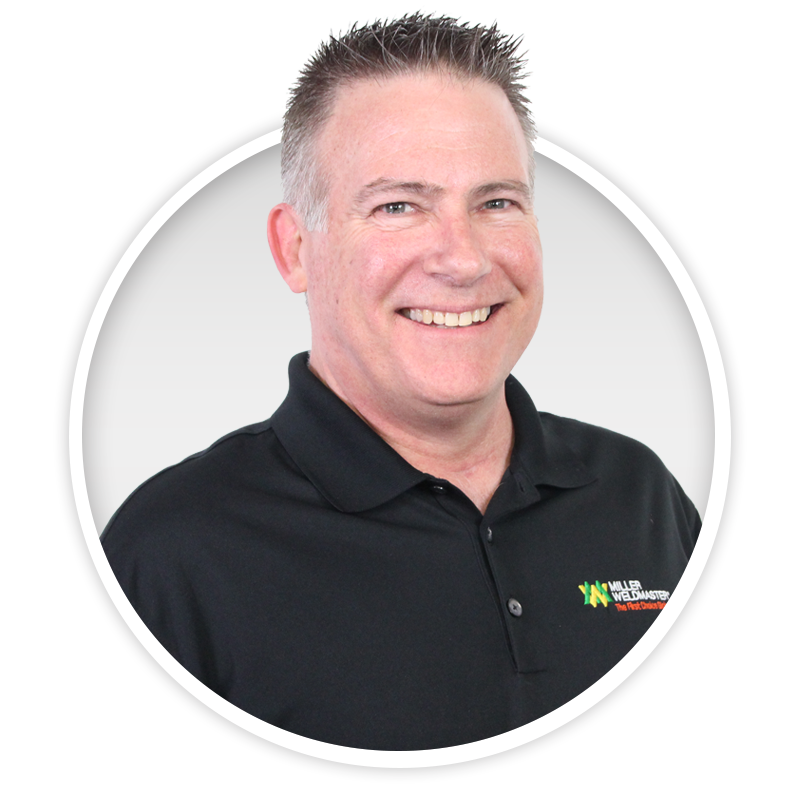 Brian Hill has a positive, energetic attitude that he brings to work with him everyday. 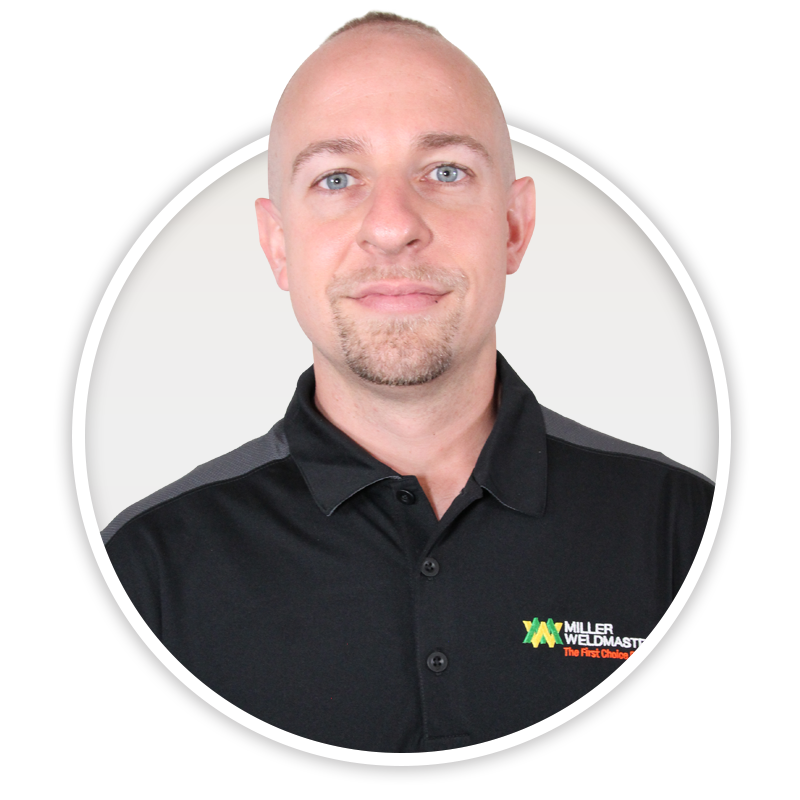 He has been with Miller Weldmaster for over 3 years, but has 13 years of experience in the industry. 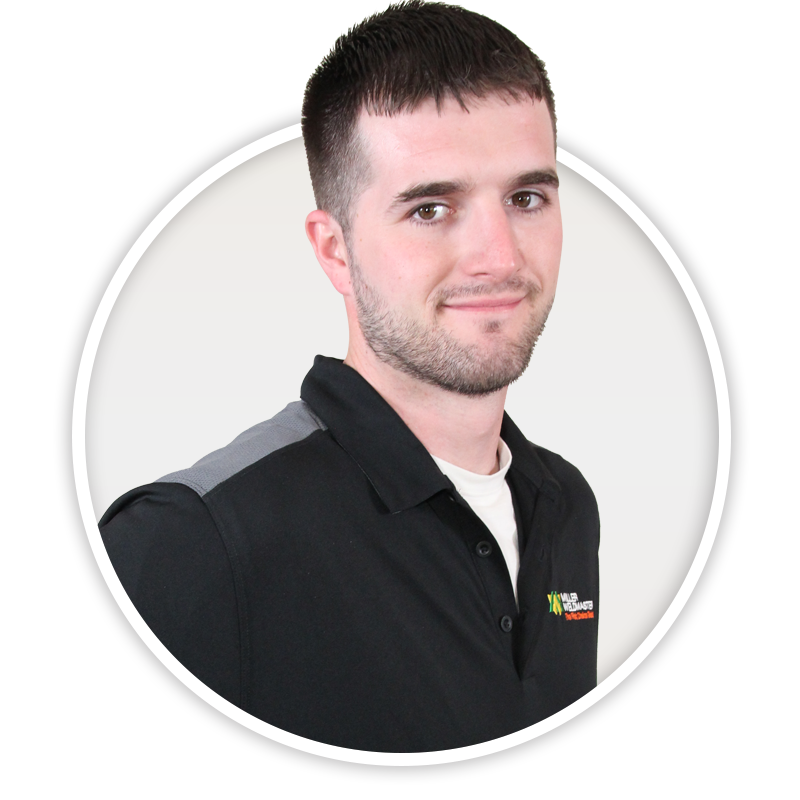 Brian is an asset to the Miller Weldmaster team from his experience in customer service! Mason comes to work with a lively, upbeat attitude daily. He loves traveling all over the world installing machines and experiencing different cultures. Mason always strives to provide a first-choice customer experience. A true Ohioan, Mason’s favorite team is the Cleveland Browns. That alone is a sign of true dedication! 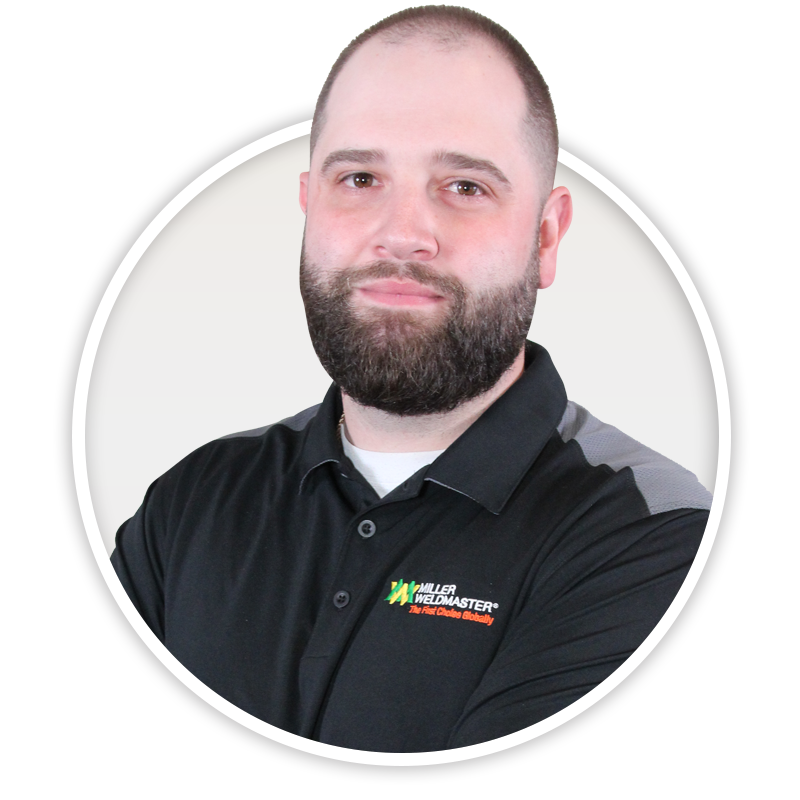 Zach Fitz is one of our field service technicians with the drive to learn more and satisfy all of our customer’s needs. When he’s not running our machines and helping our customers he is spending time with his kids or playing sports. Dan pays great attention to detail and strives to be precise, making him a highly skilled Miller family member. 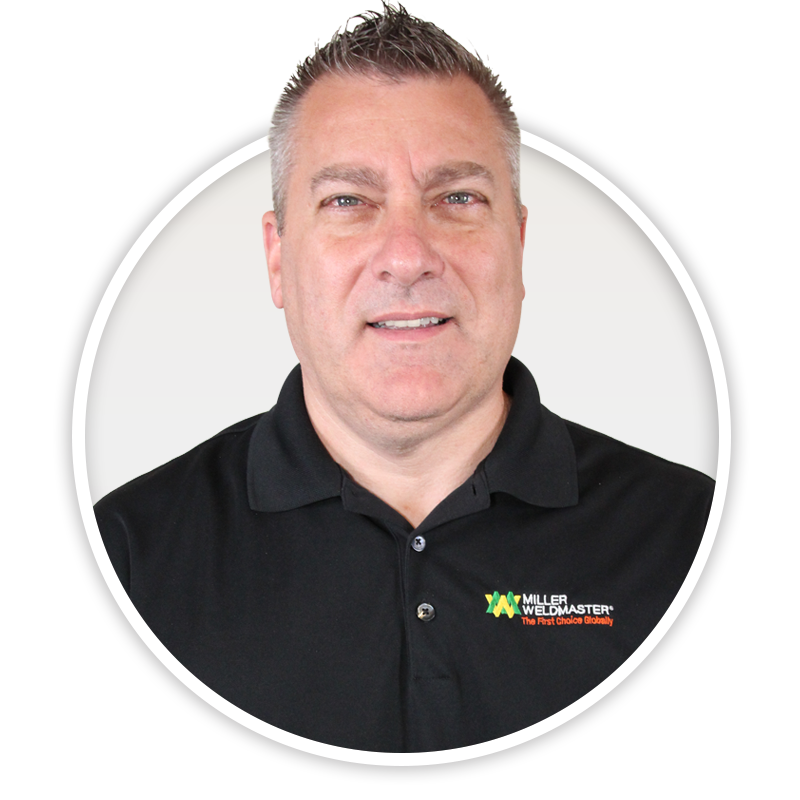 Dan began working with Miller Weldmaster in our Production Department, so he has hands-on knowledge of our machines and how they are built to perform. Scott Gallagher is always hard at work ensuring that we are meeting our customer’s needs. His positivity and dedication motivates everyone on the team to work as hard as they can. Scott enjoys camping, boating, and everything outdoors! I am an eagle scout which I accredit my leadership abilities, I have a passion for engineering and paying great attention to mechanical detail. I strive to learn as much in the industry as possible. If I’m not working you can catch me playing my acoustic guitar. I look forward to traveling and assisting customers with a positive attitude. Bailey Lewton is a part of our field service team and shows up to work daily ready to work hard and bring his best to our customer’s. Bailey enjoys spending his free time outdoors working on his farm. Nate Dolvin has been a part of the Miller Weldmaster team since 2015. 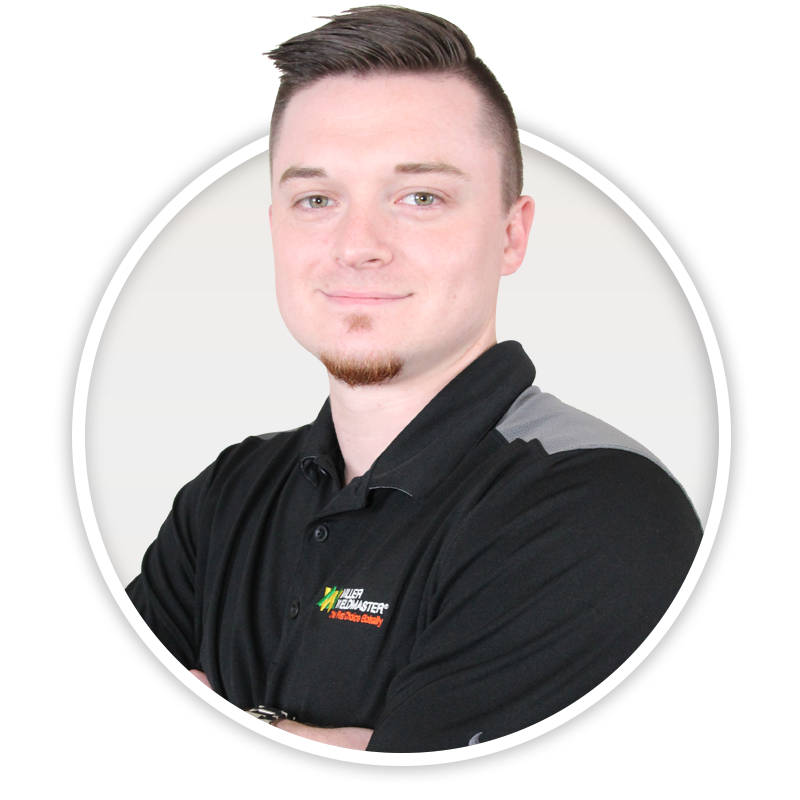 He is one of our skilled field service engineers with the motivation and drive to perfect any task thrown his way. 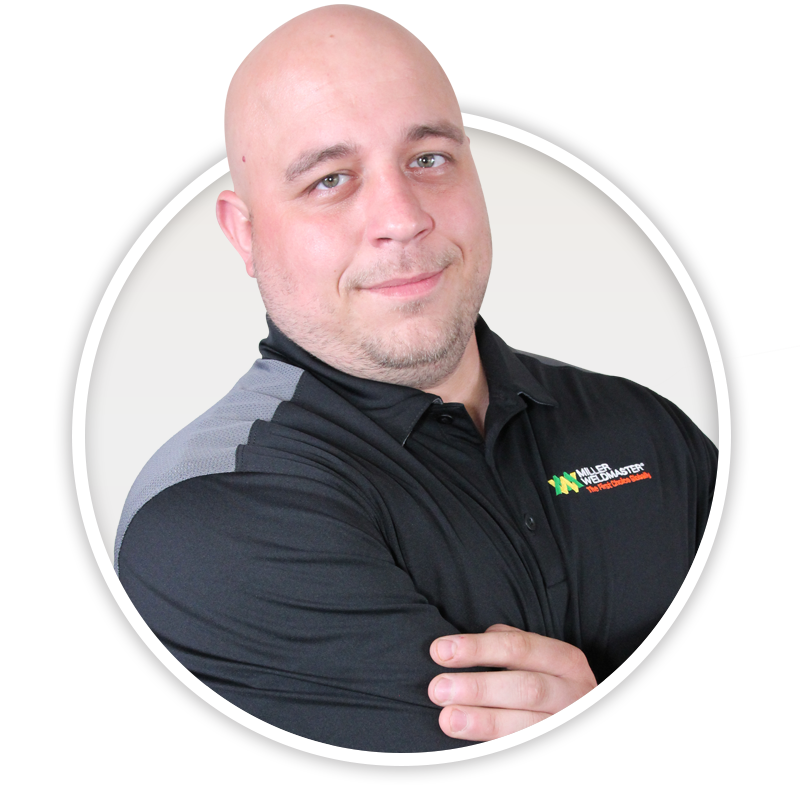 Taylor Moore is new to our Miller Weldmaster team, but is already an expert on our standard machines. His proactive and precise personality makes him eager to master any task. When Taylor is not hard at work, he is busy training and running marathons!